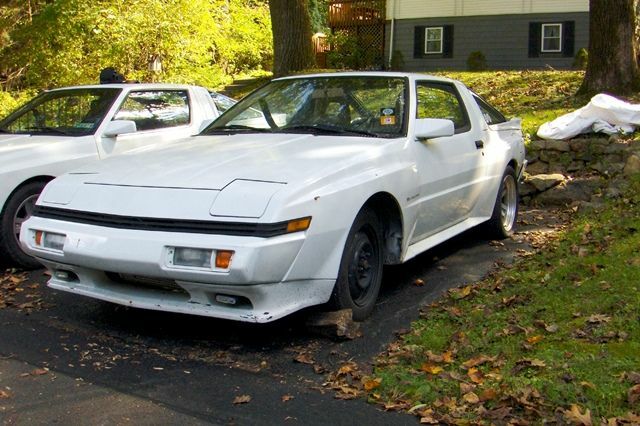 So, 2 years ago, in August of 2011, I got stupid lucky and found this 88 SHP Starion hiding out in NJ. 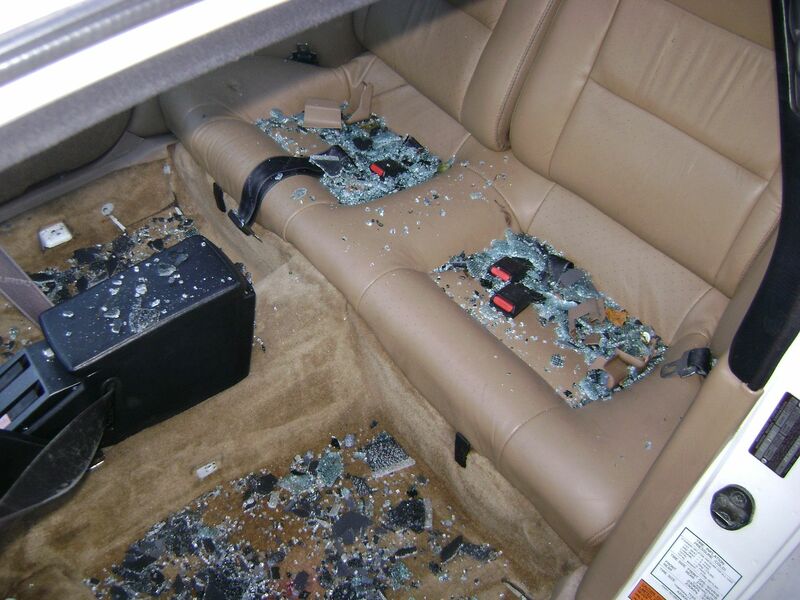 The seller claimed he was the 2nd to own the car. 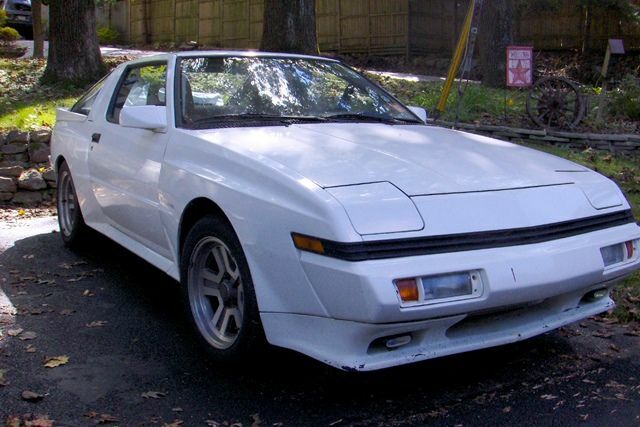 He said he bought it off the original owner after it had sat not running for several years in a garage. 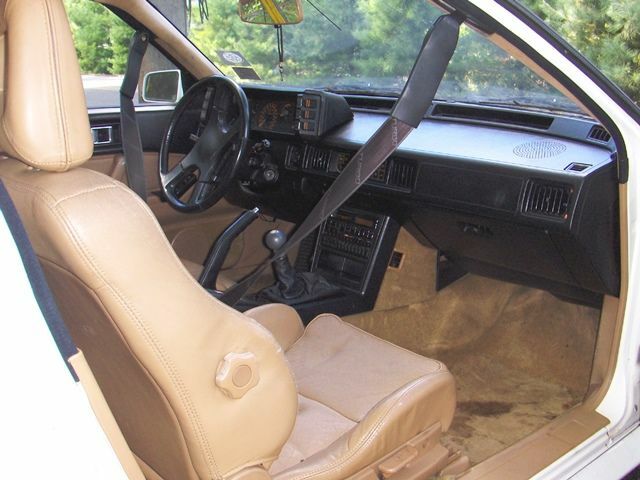 It has a documented mere 59K on it. Not knowing anything about cars mechanically he bought it for nostalgic reasons and figured his mechanic could get it running. Wrong. 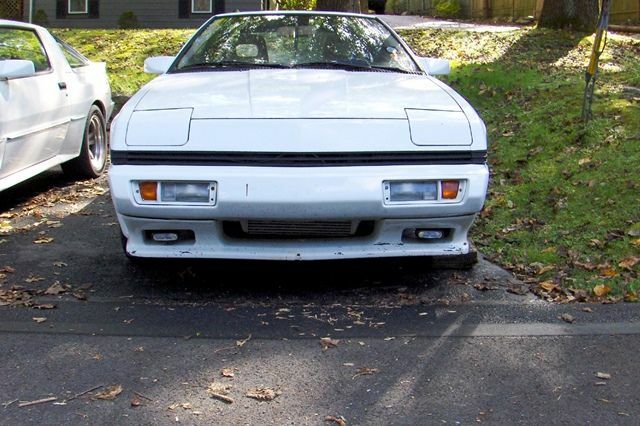 His mechanic discovered the motor was totally shot and so he abandoned the project and put it up for sale. Enter me. 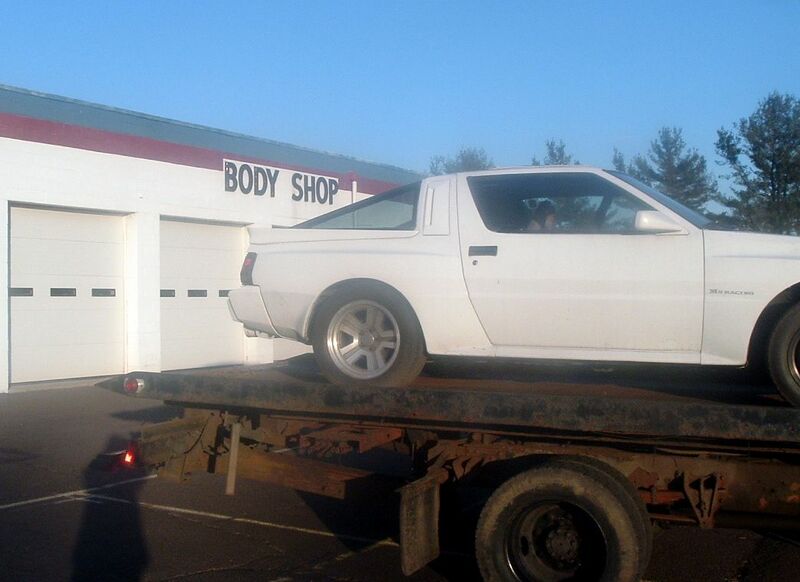 I bought the car as a shell, grabbed the rollback and hauled it back to my house. Edited by techboy, 05 April 2013 - 08:48 PM. 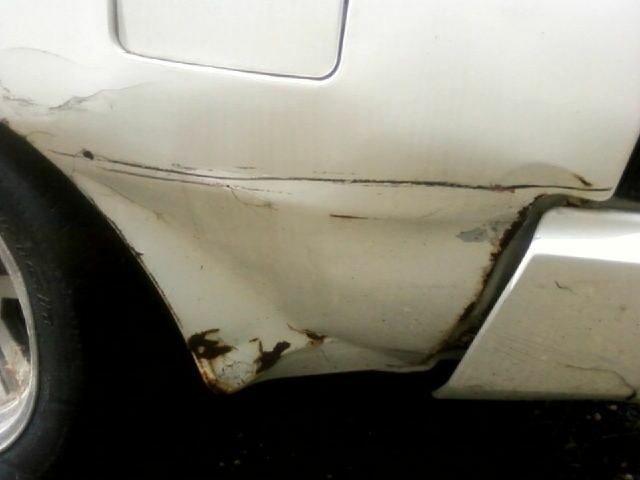 When I bought the car, it had been sideswiped on the rear drivers side. 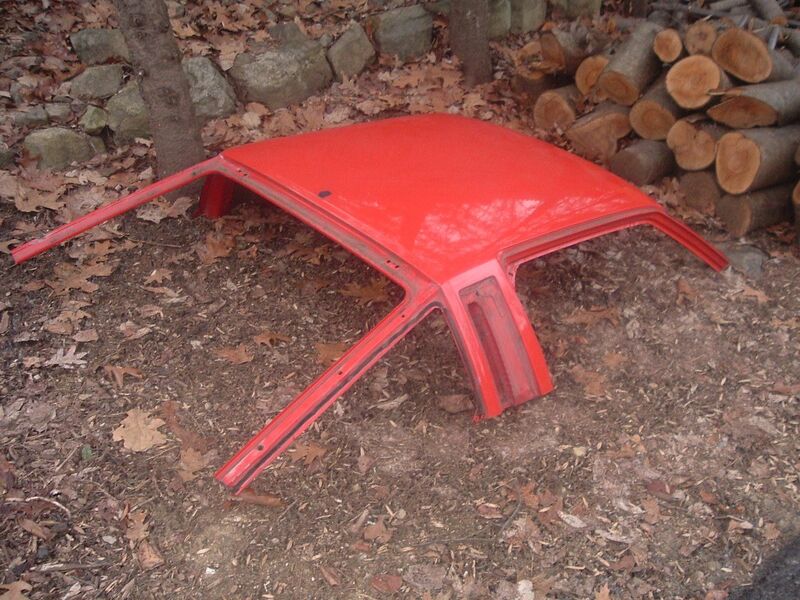 So, my plan was to have my uncle who owns a body shop do the body work and have it repainted. 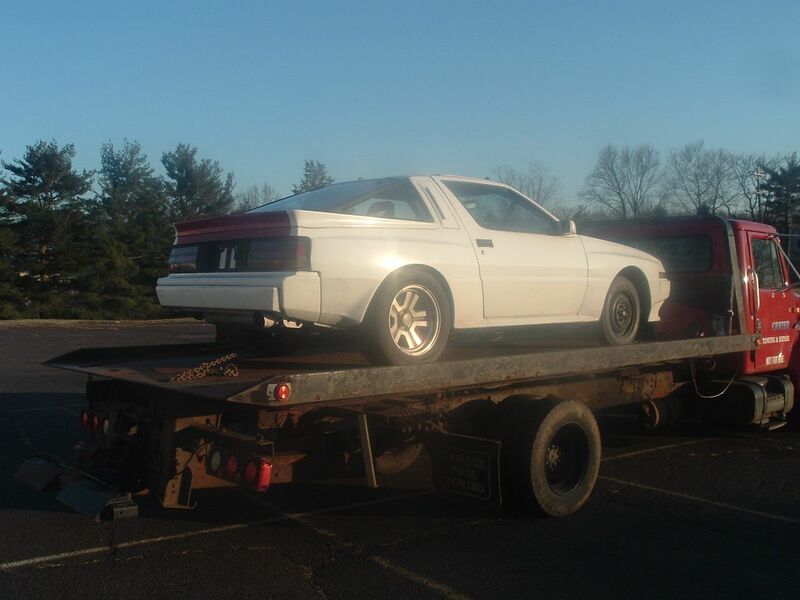 Then, using my Conquest as a donor car, rebuild the motor and swap it into the Starion. Then, October 31st of 2011 happened. 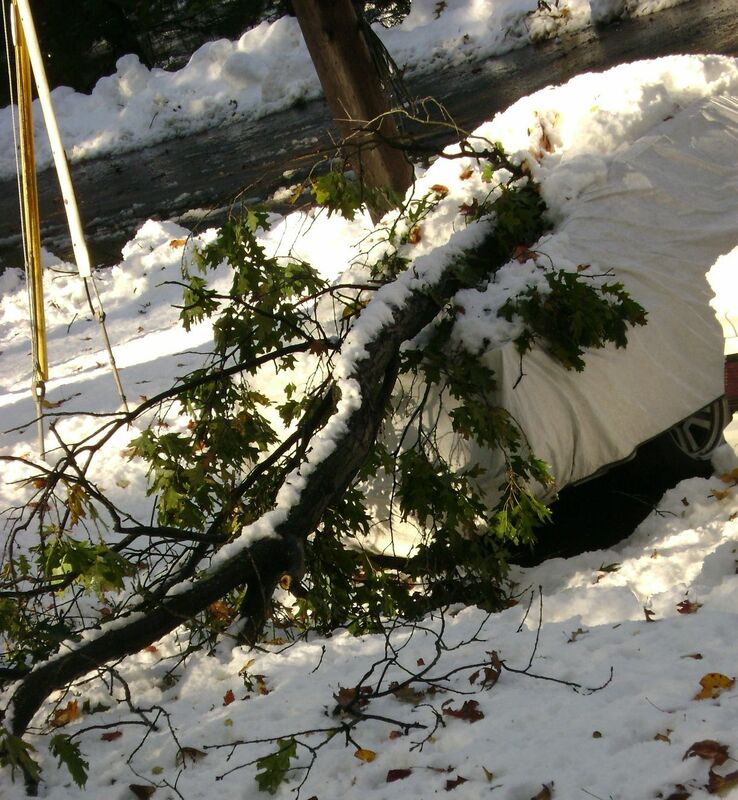 The freak East Coast early season snow storm that landed a massive branch on the car and smashed the roof. Some of you may remember posts I made from when this originally happened. 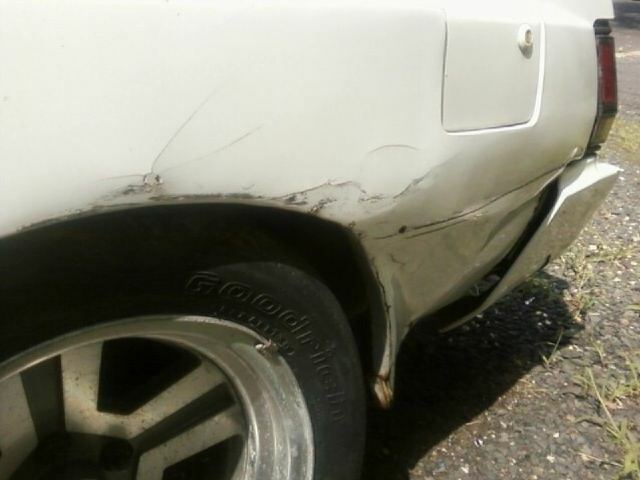 After a whole lot of thinking, decision making, and conversation with people here on the board (particularly Burton) I decide against scrapping the car and trying to repair it. I had a few challenges though. My uncle was no longer willing to do this kind of work - so I had to find a shop that could do the necessary work at a reasonable cost, and I had to find the necessary pieces. Edited by techboy, 05 April 2013 - 09:13 PM. So that brings us all the way to the present: I'm very excited to say that after storing the car (safely!!) 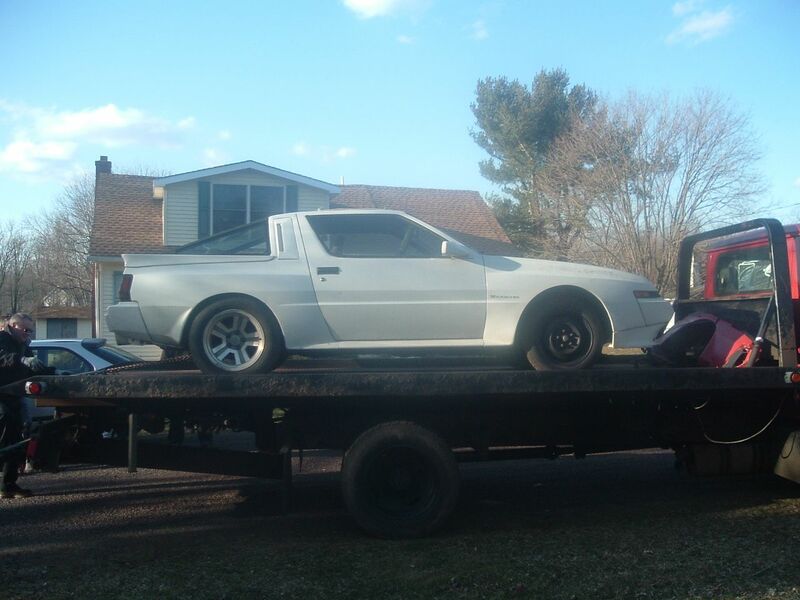 for last 9 months I found a shop willing and qualified to the work and this past week and the Starion was dropped off to FINALLY get this project under way. It's been a heck of ride so far, but my hope is that someday this will be a beautiful car again w/ a crazy story to tell people ...... we'll see. I look forward to sharing the progress with you guys. Edited by techboy, 05 April 2013 - 09:25 PM. Im real excited to see this come back alive. 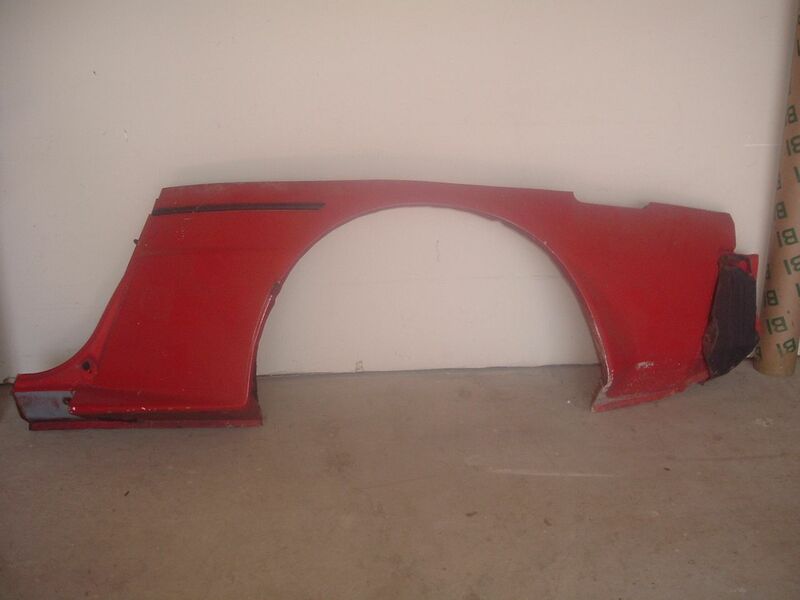 Oh by the way, your old red car has been coming along VERY slowly, but it has been coming along. Edited by ColdScrip, 07 April 2013 - 09:35 PM. 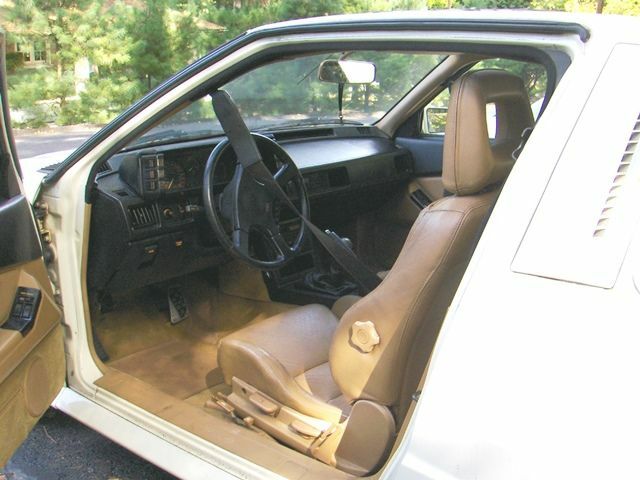 Follow my '87 restore here. 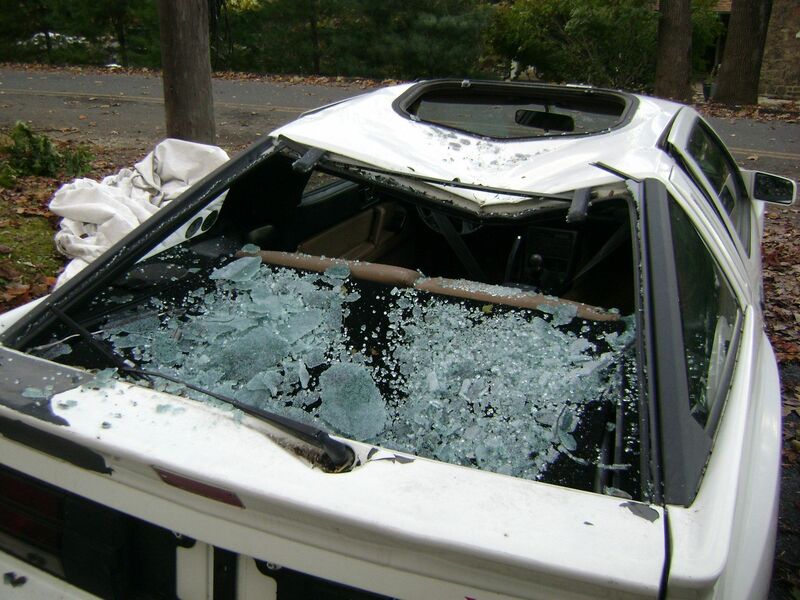 Thanks for asking and showing interest .... only update I have is the shop gave me a call on Friday and said the windshield came out in one piece, which I was nervous about. (I'm already spending enough money, I was hoping to not have to replace more glass). They said it should be done in about a week. I would expect to hear from them sometime this week. I want to call back and ask them to take some pictures along the way, I don't know if they will, but I'd love to have some documented photos of the work done for the future. 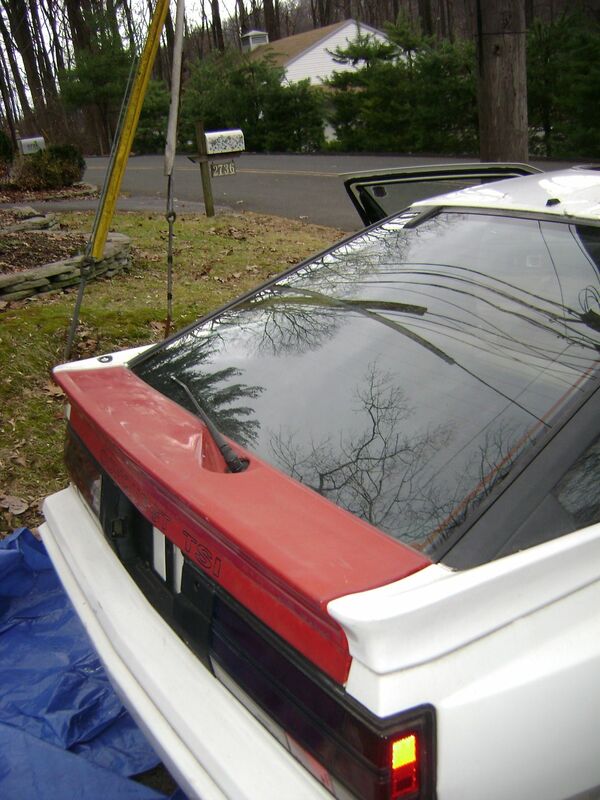 Coldscrip .... post up some pics of the red 87 on this thread, I'd love to see how it's coming along! I bet if you show up and take the pics yourself, they'd be ok with it. Good news to hear about that poor car, I remember the tree incident from years ago and am glad to see you've stuck with it!! 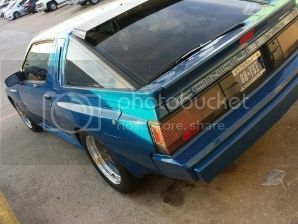 Wow I forgot about this car! So sad when I saw the original post but I'm very glad it's coming along despite the traumatic damage the car recieved. Keep us updated man. Good to hear. Cant wait to see it all done. Such a tragedy to happen on that color combo. yes can not wait to see the finished product! Edited by importwarrior, 18 April 2013 - 12:46 PM. I'm glad you fixed her up. 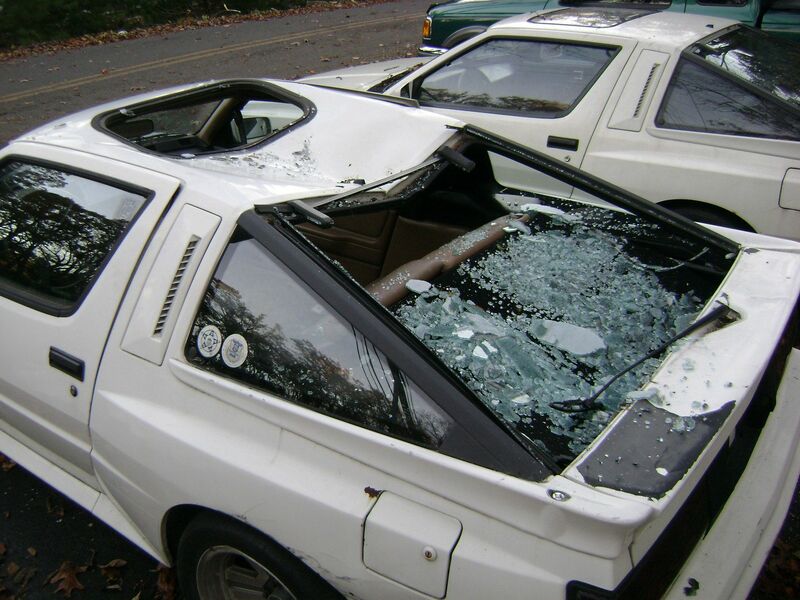 Kind of funny...about 18-19 years ago I looked at an 87 LE in Quakertown area (actually it may not have been as far as Qtown...maybe Center Valley) that was crushed just like yours. 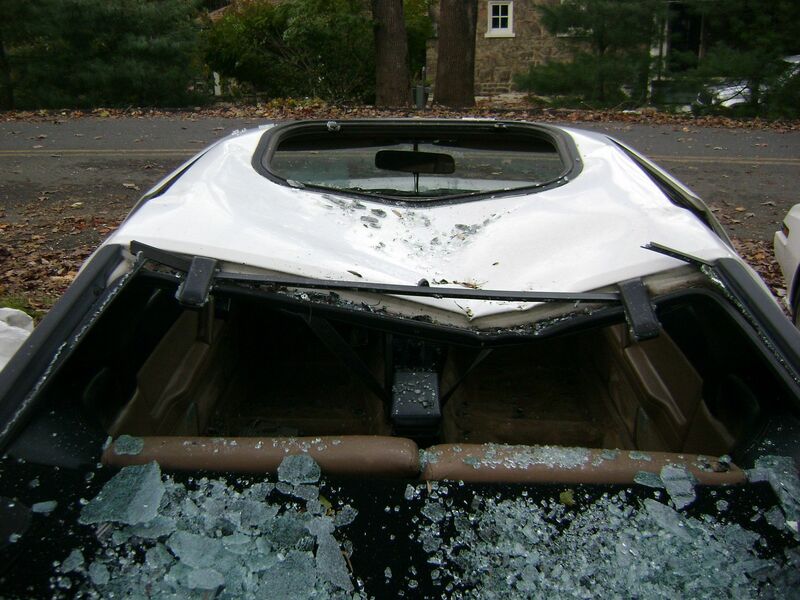 Guy wanted $1500 for it at the time and it was similar; low mileage, original owner, great condition with exception to the roof caved in, lol. 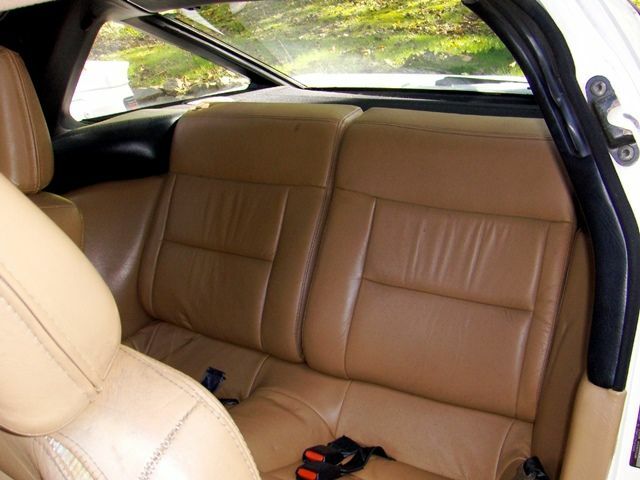 That car looks so familiar though...the full beige rear seats...I know I've seen it before. Where are u in the valley? I grew up in Whitehall. Can't wait to see the progress photos. Wow ... that's a really weird post to read for me .... You couldn't have gotten any close to home for me than the towns you listed. I grew up in Quakertown and I now live in Center Valley. Work in Allentown. You still in the area? No, live near pittsburgh now...but my family is still in valley (Catty, Whitehall, and Allentown). I don't get back too often anymore...only about once or twice a year. I go to those shops in center valley all the time. Will probably go to that theater to see Iron Man 3 next week. In August I usually go to the ford car show in coopersburg. I can't wait to see the progress pics of this rebuild. Edited by BuGG, 26 April 2013 - 09:19 AM.